A sweeping family saga of long lost love, for readers of Fiona McIntosh and Mary-Anne O'Connor. From Pearl Harbor to the shores of Sydney, a secret that spans generations could unite a family - or destroy it. 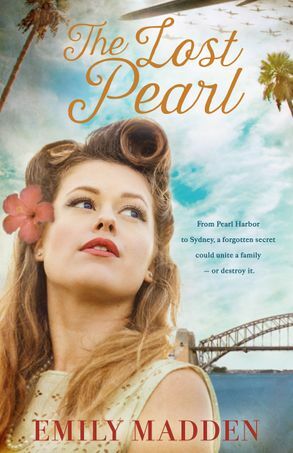 A self-confessed romance nerd, Emily Madden covets books like some women covet shoes and handbags (although she has a decent collection of each of those too!). Her love of books started at a young age and she would often go shopping with her mum just so she could score yet another novel. Nothing has changed - she rarely leaves a bookstore without a book. While she reads anything and everything, stories that touch the heart and uplift the soul are what she loves the most.Emily wrote her first story at eight and was horrified when she was made to read it out aloud at her school assembly. She dabbled with poetry before returning to writing novels, albeit many years later. Emily lives in Sydney with her two girls and husband. She loves coffee and is forever frequenting her local coffee haunts. She has an unnatural obsession with needing to be close to the ocean, but is terrified of deep water.You can email her at [email protected], visit her website www.emilymaddenauthor.com or connect with her on Facebook www.facebook.com/emilymaddenauthor or Twitter @emaddenauthor.